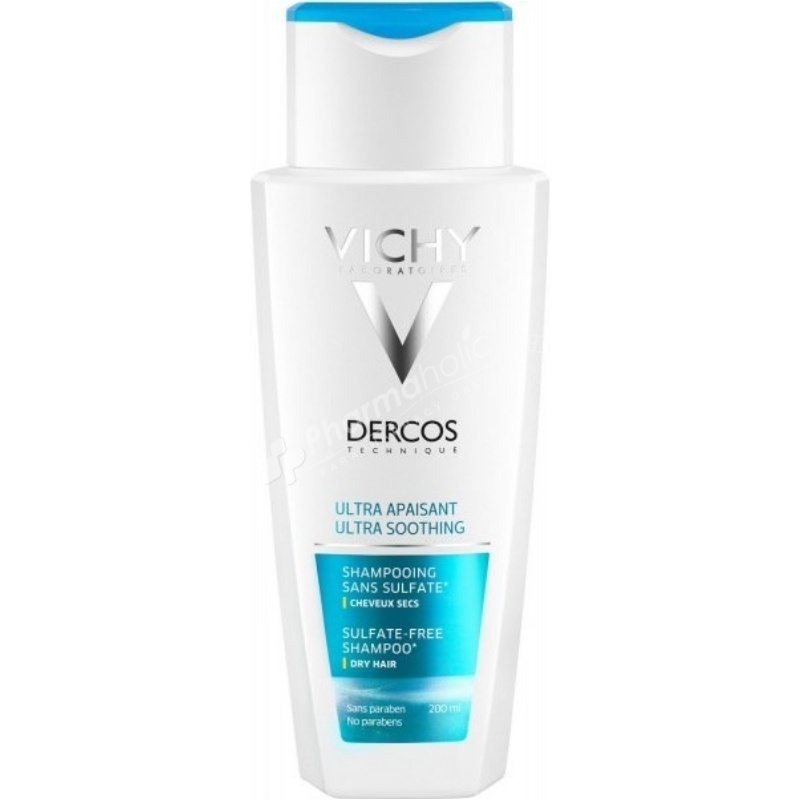 Vichy Dercos Ultra Soothing Shampoo Dry Hair is a shampoo specially formulated for the dry hair to calm the itching of scalp. This soothing shampoo does not contain sulfate and is formulated based on an active Complex Sensirine which is enriched in Glycerin and Panthenol. Vichy Dercos Ultra Soothing Shampoo for Dry Hair 200ml is a shampoo specially formulated for the dry hair to calm the itching of scalp. This soothing shampoo does not contain sulfate and is formulated based on an active Complex Sensirine which is enriched in Glycerin and Panthenol. From the first application, it will calm the sensations of discomfort and soothe itching of scalp. -Sensirine: clinically proven soothing properties. -Panthenol: Hair is softer, shinier & easier to comb. -Glycerin: well known hydrating properties. -Acts instantly from the 1st use. Apply on wet hair, gently massage the scalp, leave on for 1 minute, then rinse.